I am amazed with the concept of Dorsett Hotel when I first enter the lobby. As I reached the hotel, I immediately take out my phone to snap my portrait *flip hair*. The hotel opened on 16 January 2016, the hotel features 218 guestrooms, an all-day dining facility with the scenic lake view. Free in-room WIFI and broadband internet access, Flat screen TV, Air-conditioner, Complimentary daily newspaper, Word desk, Hair dryer, Full range of bathroom amenities, Slippers and bathrobes, Shoe shine, Iron and ironing board, Tea / coffee facilities. Comfortably furnished in hotel's room - stylishly designed to cater to the needs of both leisure and business travellers. Suria shopping mall, Citra Rasa all-dining restaurant, Dorsett Cafe, Rooftop bars with an infinity pool, WIFI internet access, Rooftop Spa, Luggage storage, Express check-out, Complimentary in-town shuttle service, Fully-equipped rooftop gymnasium, Pillar-less Ballroom and Meeting Rooms. 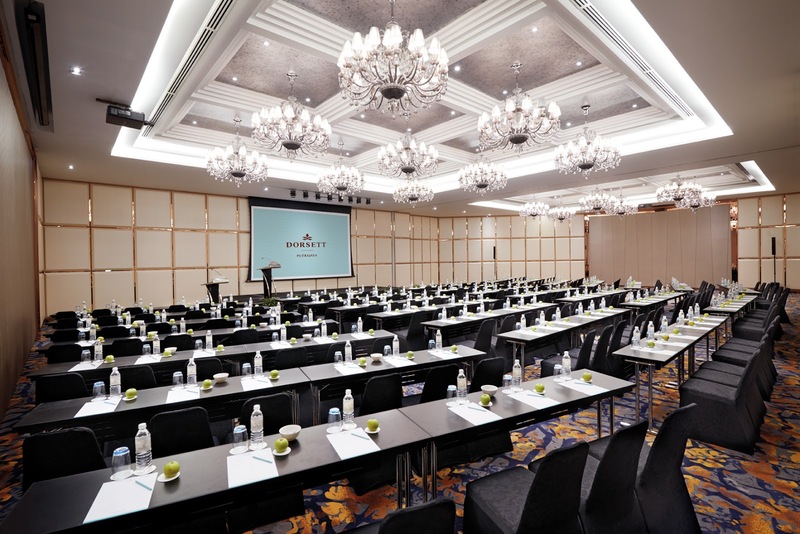 The hotel offers a total of 880 sq metres of meeting space featuring an elegant Ballroom dividable into two and four meeting rooms which can be combined as one large meeting space. Fantastic buffet breakfast at Citra Rasa. 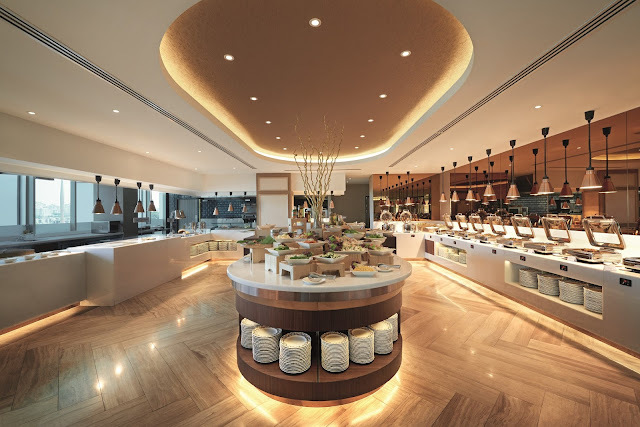 For lunch and dinner, one will be spoilt for choice with the amazing variety of dishes featured on the buffet table or to indulge in a unique dining experience with selected renowned specialties featured on the a-la-carte menu. 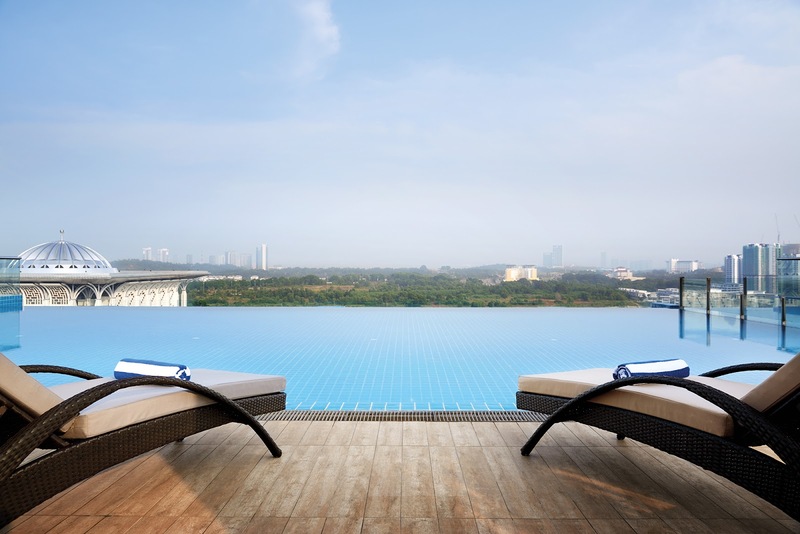 Soak in the sun or catch the magical transformation of day into night at Infinity Pool that comes with a stunning view of the lake and the surrounding landscape of Putrajaya. You can also book a location for your wedding ceremony at Dorsettt Hotel. I once saw a wedding ceremony at the hotel's ballroom plus, it looks so exclusive organize a wedding ceremony at hotel right. Weddings are most of the most important milestone in one’s life. And it has to be perfect! The hotel is strategically located within walking distance to National Registration Department, Custom Department, Ministry of Health, Ministry of Entrepreneurship and the Federal Court of Malaysia. Precinct 3, 62000 Putrajaya, Malaysia.